A new study sounds the alarm over the longer missions the Air Force has conducted overseas since the Cold War — and warns that the service won’t be able to fully do any of the jobs that may be asked of it in the future. Top Air Force leaders have been expressing concern for some time about the pace of operations and the size of the force. But the Rand Corp. report — “Is the USAF Flying Force Large Enough?” — attempts to specifically identify how bad the problem is and where the danger areas lie. The study aims to help the Air Force "develop planning tools to test the robustness of the flying force against a range of possible future demands.” It does so by estimating future fixed demands on Air Force aircraft, by missions such as homeland air defense, then predicting possible additional demands that might be placed on those aircraft, relying on historical data dating back to 1946. The report outlines four different scenarios the Air Force most likely would encounter: a Cold War-type situation with a long regional conflict like the Korean or Vietnam wars; a Cold War situation with a short regional conflict like Operation Desert Storm; a peacetime environment, perhaps to include a no-fly zone; and a counterterrorism or counterinsurgency conflict similar to the current operations going on in the Middle East. In all four of those scenarios, the Air Force would see significant shortfalls in multiple areas, according to Rand. For example, during a long regional conflict, the Air Force would only be able to field about half of the C3ISR/BM — or command, control, communications, intelligence, surveillance and reconnaissance and battle management — as well as special operations aircraft necessary, and less than two-thirds of the airlift and attack aircraft necessary. Even a peacetime environment, which historically has included lengthy no-fly zones in places like the Balkans and Middle East, would seriously tap the Air Force’s ISR, special operations, tanker, bomber, fighter and attack aircraft capabilities, the report said. While some aircraft fare better under certain scenarios, there’s no class of aircraft that can meet at least 80 percent of demands, Rand said. For example, fighter aircraft would be able to meet at least 93 percent of demands under both Cold War scenarios and a counterterror or counterinsurgency scenario. But under peacetime, fighters drop to 64 percent. Rand argues that prolonged operations, defined as those lasting more than a year, are having a disproportionate impact on the Air Force — and are growing longer, on average, since the end of the Cold War. 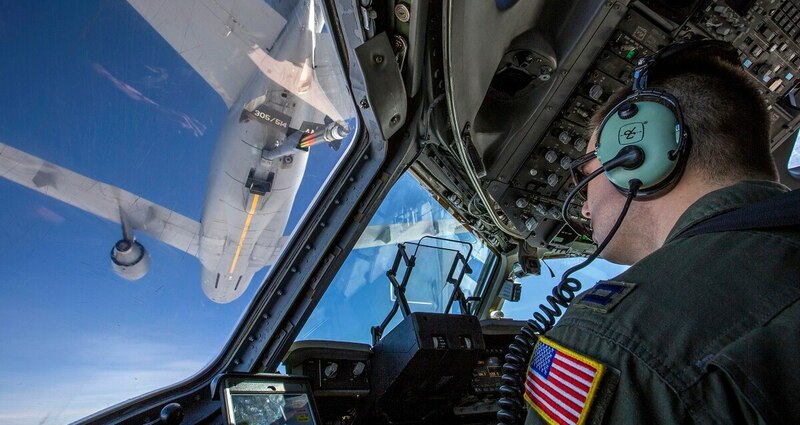 The Air Force has taken part in 46 prolonged operations throughout all presidencies since 1946, the report stated. The Air Force needs to start using historically based simulations, similar to those used in the study, as it goes through its force planning process, according to the report. For example, the current process doesn’t fully account for demands placed on the force during peacetime, when airmen are supposed to be training and otherwise preparing for the next conflict, the report said. The service also must start tracking data that better illustrates the consequences of lengthy overseas operations, the report said. “Better metrics would also help USAF leaders make the case for more force structure in interactions with DoD leadership, Congress, the media and the public,” the report said. But the answer isn’t longer deployments, the researchers wrote. Even if airmen needed to operate ISR aircraft were deployed as much time as they stayed at home — or a 1:1 deploy-to-dwell ratio — that would only allow those planes to meet 42 percent of the demand, up from 29 percent. That’s an improvement, they noted, but it wouldn’t be worth the price.